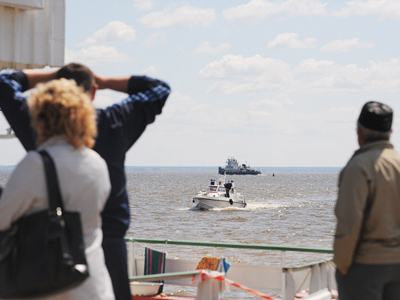 Flags are at half-mast across Russia as the country mourns some 130 victims of a shipwreck after an overloaded pleasure cruiser sank in the Volga River in the Republic of Tatarstan on Sunday. ­The 55-year-old ship sank in a mere three minutes leaving those on board practically no chance to save themselves and their loved ones. According to crew members, the SOS alarms and tannoys were not functioning because the electricity generators had stopped working. The tragedy came as a shock to the nation as 98 people (at least 12 children among them) have been officially confirmed dead and dosens bodies remain trapped underwater – 30 to 40 of them are children. The total number of people onboard the vessel is now estimated at 205 passengers and crew members, 79 of them were saved. Rescuers continue their work but they say chances of finding more survivors are now gone. On Tuesday morning they dived into the section of the ship where the games room was located. Witnesses said that most of the children onboard had been gathered there shortly before the vessel sank. Bodies of five children have already been brought to the surface. Earlier on Tuesday, rescuers found the bodies of the captain and his sister. In addition to the wreck site, the search operation includes the banks and islands in an area extending some 40 kilometers downstream. 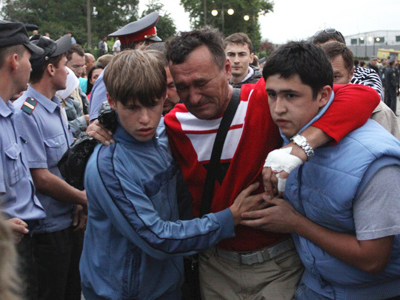 “The works must continue,” Emergencies Minister Sergey Shoigu ordered. Thousands of people gathered at the port in Kazan where the Bulgaria was due to dock. They have been laying flowers in memory of those who perished. Many of them remember the ship or being aboard it. 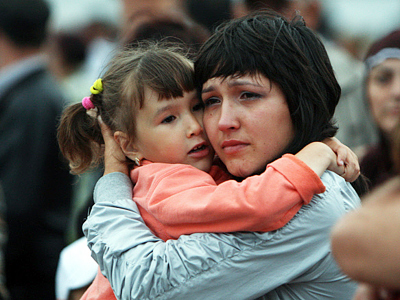 Tuesday has been announced as an official day of mourning in Russia. 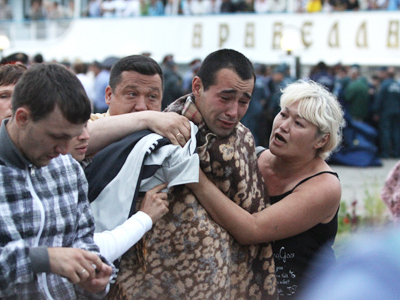 Relatives and friends of the victims have gathered in Tatarstan’s capital Kazan to identify the bodies, while divers from the Emergencies Ministry are working tirelessly to bring the bodies that remain inside the sunken ship to the surface. It requires immense effort because the rapid flow of water at the site of the wreck complicates the operation. Identified bodies are being given to relatives. 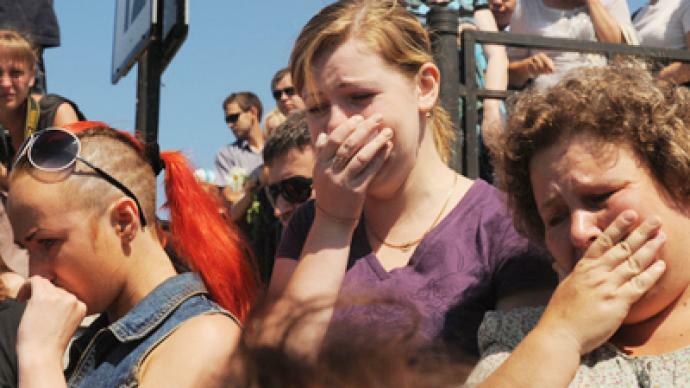 Tuesday has seen 22 funerals of victims of the tragedy. The tragedy sent shockwaves around the country and indeed around the world. On Tuesday, entertainment events have been cancelled nationwide and on major TV channels. A minute of silence was held at approximately the same time as the wreck occurred. 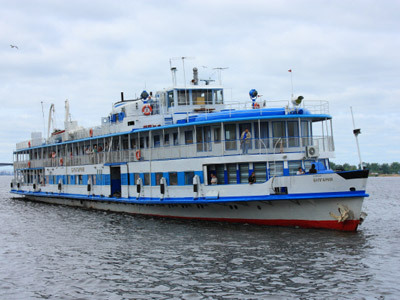 President Dmitry Medvedev has not only announced a day of mourning but also called for a complete investigation of the incident itself and the whole water transport infrastructure, saying that it is unacceptable that a boat that old – the Bulgaria was built in 1955 – was allowed to travel with passengers onboard. The Russian president has lit candles at the chapel at his residence in Gorky, near Moscow, for the peace of the souls of those who died in the Bulgaria tragedy. The president’s representative Aleksandr Abramov is in Tatarstan participating in mourning ceremonies. Now, amidst the grief comes the anger and the questions – why all this happened in the first place. The Bulgaria pleasure boat sank in just three minutes. Some people are now saying it should never have been on the Volga at all. Growing evidence seems to point to gross mismanagement on the vessel, including a broken engine ignored by the captain and blocked emergency exits. “When I used to work on it, it was called ‘Ukraine’. More and more people complained so they just changed the name to the Bulgaria. The crew themselves always praised God for saving them every time they got off that ship,” claims a former onboard entertainer. The vessel, built in1955, was given official clearance to sail as recently as last month. Despite this, rescue teams say it was hopelessly outdated. “The crew told me that before it sank they noticed water coming in through the windows. 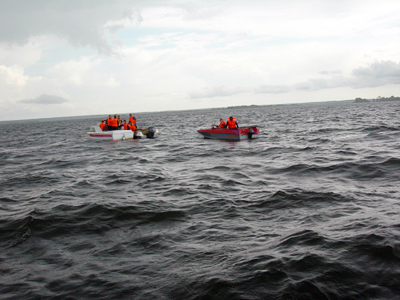 Taking on water at such a pace, the boat went down very quickly,” said a company representative of the rescue ship. Now President Medvedev has ordered wide ranging checks, saying there are many more ‘Bulgarias’ out there. “The number of decrepit barges cruising along our waterways is enormous, and the fact that we were lucky before, doesn’t mean anything like that couldn’t have happened,” Dmitry Medvedev said. All of this will come to the fore when the ship itself is raised to the surface for investigation. But it is the harrowing accounts of what happened on the weekend pleasure cruise that tell the real story. Rescue workers will continue their efforts throughout the coming hours and days. But hopes of finding anyone else alive have now gone, leaving just the shock and grief that so many smiling faces could so quickly disappear beneath the water.